Consumer reviews can clearly be an important tool for online business owners—in 2012, Nielsen found that 70% of global consumers say they trust online reviews. The hard question is: how should online business owners manage their reputation? With over 45,000 online businesses reviewed on SiteJabber, we’ve had the opportunity to study what works for business owners – so, it is our pleasure to bring you the five best practices for leveraging consumer reviews to build trust and earn more loyal customers. Choosing a credible, consumer-focused review platform is critical to building trust with prospective customers. While it may be tempting to pay for thousands of glowing 5-star reviews, consumers are smart and can spot phony reviews and phony non-consumer-focused review sites a mile away. An eConsultancy Survey recently uncovered that 68% of consumers actually trust reviews more when they see both good and bad ratings and in 2010, researchers from Stanford found that negative reviews can increase sales. On SiteJabber, we’ve found that the best performing businesses methodically build a collection of legitimate reviews from real customers and don’t sweat the occasional bad ones, as they know that their success in the long-run depends on building real trust with real customers. If you still have some concerns about negative reviews, the best way to get out in front of them is by claiming and developing your online reputation as soon as possible. You can use consumer review sites to tell your business’s unique story through text and pictures and invite customers to review you. 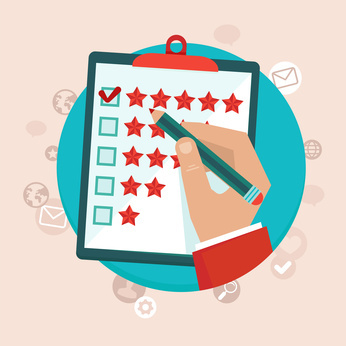 Having a well-developed online profile on review sites can be a valuable tool to generate new business, but also should your business receive a negative review, it can be read in the broader context of your business. The mere act of asking for feedback can signal to your customers that you care and can inspire greater loyalty. And by listening to fans and critics alike, you can equip yourself with the knowledge to continually improve your business. While you can certainly collect this feedback privately, using a public review service can be particularly useful because it gives you the chance to resolve issues with unhappy customers before they cut and paste their complaint all over the web. Additionally, collecting reviews publicly is a great way to show off to prospective customers how much existing customers love you—even one great review can be read by thousands of your potential customers. On SiteJabber, we’ve found that ecommerce businesses that respond to every review tend to receive better reviews over time and as a consequence, more business. We recommend publicly thanking all reviewers regardless of how they’ve reviewed your business because it communicates to existing and potential customers that you care, and it doesn’t look like you’re only doing damage control when you respond to a negative review. Smart consumers can easily identify engaged, customer-centric companies and reward them with more business. One of the most amazing things we see on SiteJabber is how often business owners are able to establish a human connection with a grumpy reviewer that results in the reviewer giving the business a second chance. If you feel like you can resolve a customer’s complaint, it’s often best to send a private message offering a resolution. Once the customer’s concern has been satisfied, you can then politely ask the customer to reconsider their review. One study found that 95% of unhappy customers will return if an issue is resolved quickly and efficiently. And don’t forget, your public responses will be viewable to potential customers. These prospects will see your commitment to providing customers with the best possible experience, even if you’re not able to reach a resolution. For ecommerce business owners, claiming and managing your basic business profile on review sites shouldn’t cost you anything. Avoid services that charge to remove reviews or otherwise promise to “manage your reputation.” Also avoid sites that charge by the number of reviews you collect and force you to gain a certain number of reviews in order to earn higher star ratings. These sites’ pricing and services are not aligned with the success of your business. So with all that said, good luck and may your online business reputation grow and help you to succeed! Jeremy is the CEO of SiteJabber, a leading consumer review service for online businesses that offers free accounts for businesses to develop their online presence with reviews. Jeremy received an MBA from Harvard Business School. Customers trust are important in every business.